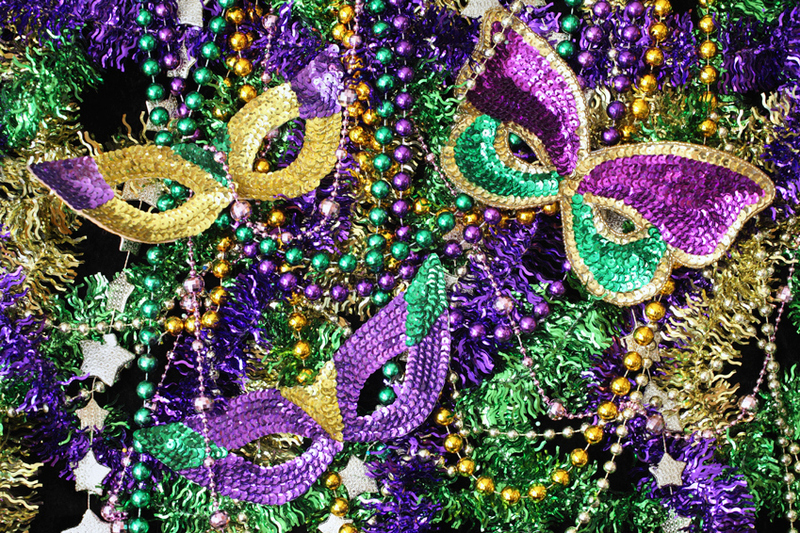 It’s party time and we’re pulling out our green, gold, and purple! 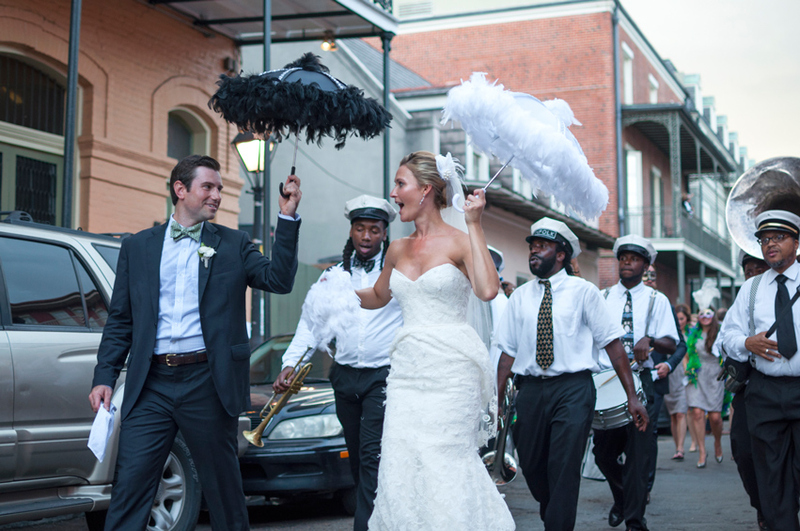 Take a look at these beautiful and fun Southern traditions—you might just want to use these ideas for your wedding and/or reception, whether it’s Mardi Gras or not! Southern weddings often incorporate parasols, since outdoor weddings are so popular. They’re practical (keeping you out of the sun) and utterly charming. Decorate yours with beads, feathers, glitter, decals, or lace. Bonus: your guy gets a black one, too! They’re perfect for a Second Line (this looks SO fun) or a money dance. Feathers make everything more fabulous! 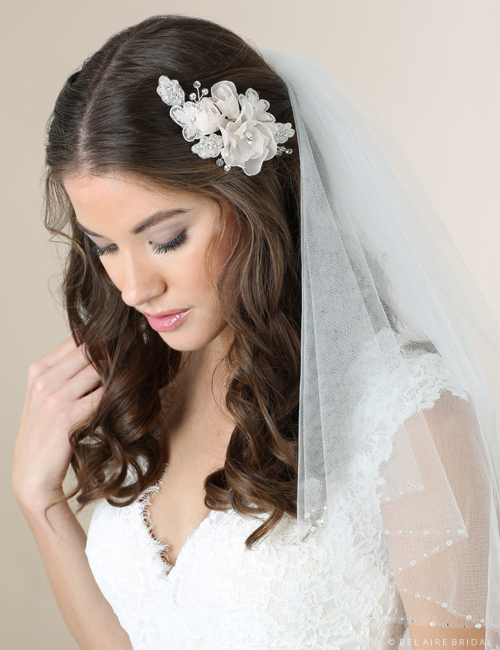 While you don’t have to deck your bridal gown with feathers (though some designers do just that), you can incorporate a few fun touches with a dramatic boa, Mardi Gras mask, or shimmering comb! Stick with bridal white or use colors to jazz up your reception look, and enjoy dancing the night away. This tradition is so cute, we can hardly stand it! Attach charms to long ribbons and stick them in a cake. The bridesmaids pull and everyone checks her fate for the coming year! Common charms include a ring (the next to be married), a star (her dreams will come true), a heart (new love is on the way), a wishbone (success), a clover (good luck), a fleur-de-lis (prosperity), and a wreath (for a happy home). 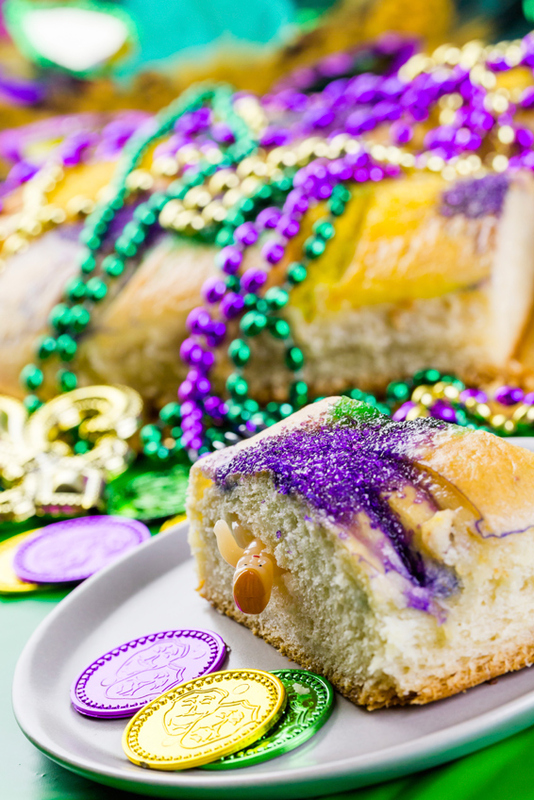 Comfort foods like baked mac n cheese, barbeque, and black-eyed peas will keep guests full and happy—or enjoy Creole-style cuisine with oysters, crawfish, jambalaya, and King’s Cake! These days, signature drinks are a MUST, no matter where you are celebrating. Remember to bury your bourbon a month before the wedding to ward off rain! 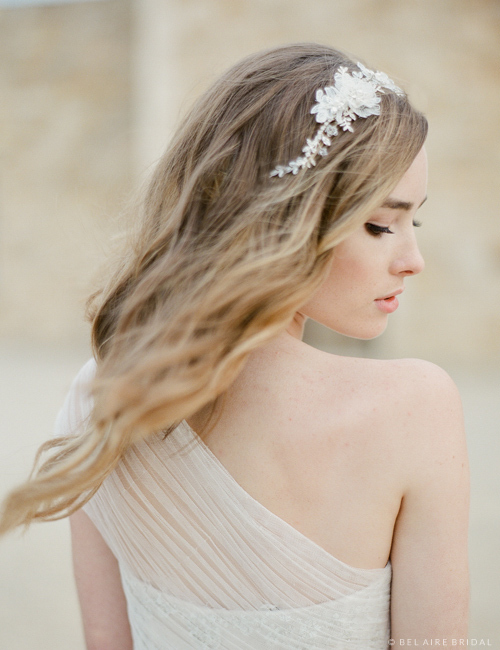 Amazing photos are something that every bride cherishes after the big day has come and gone. 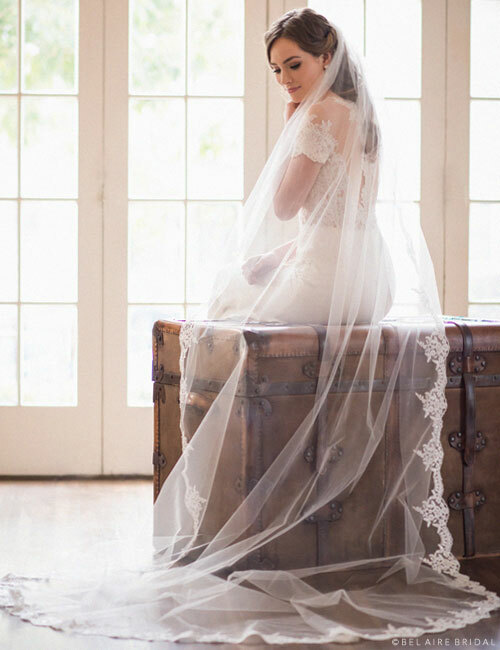 Bridal portraits are a time-honored Southern tradition—and after all, why not have one incredible photo of how you looked for your wedding? Your husband will love this keepsake, too! Take some photos outside to capture the beauty of your venue. 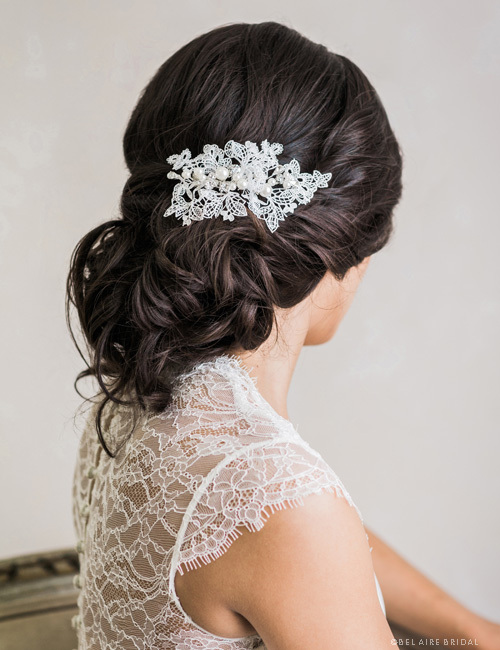 Which traditions are you including in your wedding? Let us know!